Washington (AFP) - The Romanian prime minister promised Sunday in Washington that her country would move its embassy in Israel from Tel Aviv to Jerusalem, breaking with both the European position and apparently with her own country's president. 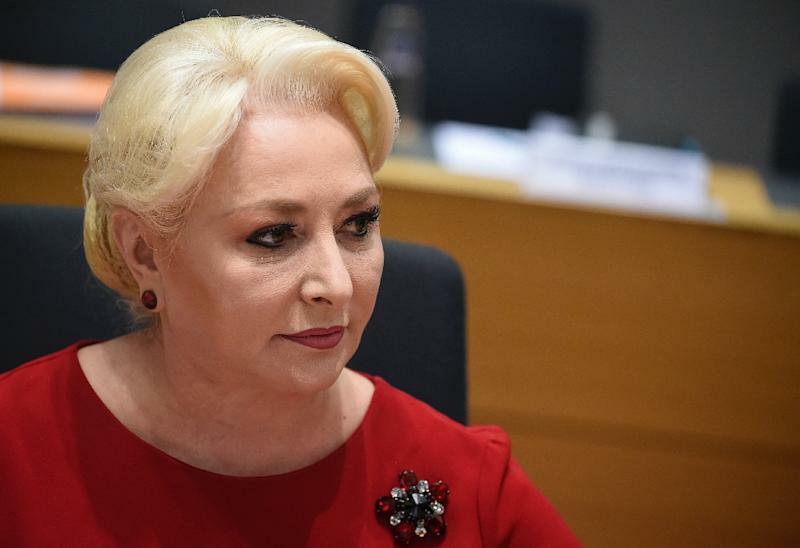 Prime Minister Viorica Dancila made the announcement before the annual conference of the American Israel Public Affairs Committee (AIPAC), an influential pro-Israel lobby. Her stance would align Romania with the US position under President Donald Trump, and it came on a day when Israeli Prime Minister Benjamin Netanyahu was beginning a Washington visit to include an AIPAC appearance and a meeting with Trump. Netanyahu subsequently tweeted his congratulations to Dancila for informing AIPAC "that she would act to complete the procedures needed to open the Romanian embassy in Jerusalem." Nonetheless it marked an awkward break with the position of the European Union at a time when Bucharest holds the EU's rotating chairmanship. Adding to the uncertainty, Romania's centrist president Klaus Iohannis has opposed the move as a breach of international law. He has said that in any case, such a shift would require presidential approval. Dancila nonetheless told applauding AIPAC members that "I, as prime minister of Romania, and the government that I run, will move our embassy to Jerusalem." Netanyahu, who had called on his Romanian counterpart in January to announce the transfer, on Sunday welcomed her move. "I congratulate my friend, the prime minister of Romania, Viorica Dancila, on her announcement at AIPAC that she would act to complete the procedures needed to open the Romanian embassy in Jerusalem," the Israeli leader tweeted. But the announcement drew criticism from senior Palestinian official Saeb Erekat, who called it "a blatant violation of Palestinian rights, international law, and UN resolutions". Erekat said the move "only contributes to eliminating the two-state solution". He called on the European Union to take action over the decision and said the matter would be raised with the Arab League and the Organisation of Islamic Cooperation. During an April 2018 visit to Israel, Dancila had said she lacked the domestic support to make the move. Jerusalem's status is one of the thorniest issues blocking any final settlement of the Israeli-Palestinian conflict. It considers the entire city its capital, while the Palestinians see the eastern sector as the capital of their future state.